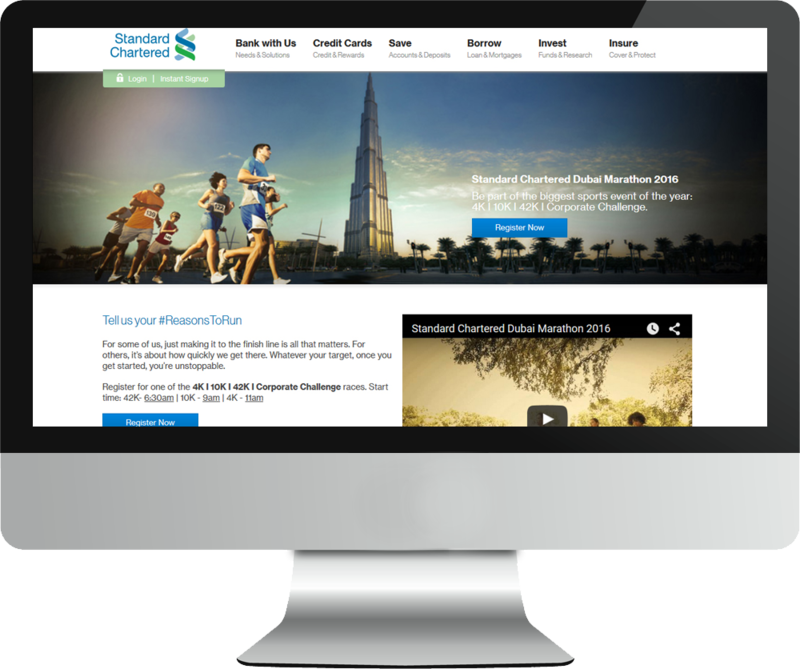 As lead sponsor of the Dubai Marathon, Standard Chartered Bank wanted a campaign encouraging people to sign up, and to highlight financial products that might benefit runners. The #reasonstorun campaign invited people to share their motivations for running. It ran across web, radio, social media and in cinemas. I worked with Create Media Group on this campaign. Scriptwriting for a 30 second video shown in screens across the UAE. It also achieved over half a million YouTube views. Microsite on the bank’s website with details about the race, links to register, and cross sells to related bank products. 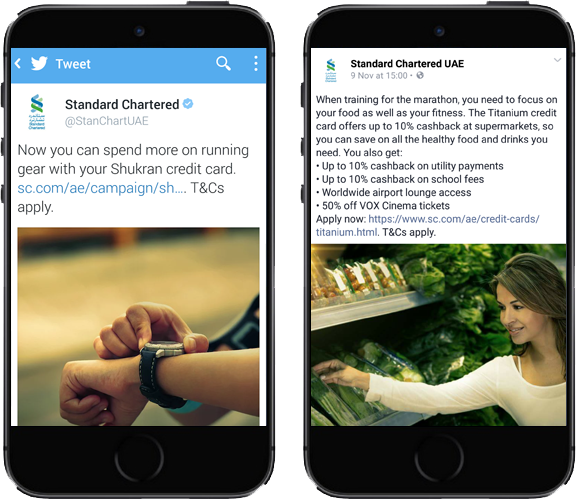 Twitter and Facebook posts that cross-sell the bank’s products, like credit cards that give you free gym access. Sent to the bank’s database, encouraging new registrations and sign-ups for cross-sell products.